As CEO of Atlantic Telecoms & Media Ltd, he consults on Telecoms, Media and Technology to major companies including Microsoft and Google as well as being a regular speaker on the industry around the world. As Executive Director of the Dynamic Spectrum Alllance, H Nwana assists with the development and execution of the organization’s strategic initiatives and outreach to and recruitment of potential partners and members across the private, public, and non-profit sectors. Prior to joining these, Nwana was Group Director of Spectrum Policy at Ofcom, where he ran UK’s Spectrum Policy. While at Ofcom, Nwana was responsible for multi-million pound policy projects including the UK’s Digital TV Clearance programme (part of UK’s digital switchover programme) which concluded in 2013. Nwana also oversaw the UK 4G auction that raised billions and concluded in February 2013. Before this, Nwana was Managing Director at Arqiva and earlier in his career he worked at Quadriga Worldwide Ltd as Managing Director where he was instrumental in the introduction of digital technology and services to the hospitality industry across Europe, Middle East, and Africa. Before Quadriga, he was a venture capitalist for 2 years and, even earlier, a Senior award-winning and published technologist at BT plc for 5 years. 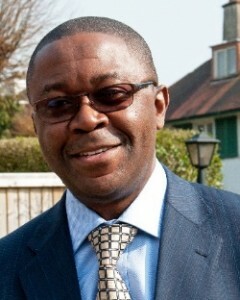 Dr Nwana holds five degrees including an MA from Queens’ College Cambridge, a PhD in Artificial Intelligence/Computer Science from Aston University, Birmingham, and MBA with distinction from the London Business School, University of London. He is Visiting Professor of Telecommunications at the University of Bristol and at the American University of Nigeria (AUN), Yola. He is on the Board of Breezie, advises the Commonwealth Telecommunications Organisation based in London and is a Trustee of various charities. He has also recently led a consortium to winning a £2M Digital TV Switchover advisory project for an African country. He also holds university professorial visiting appointments. Nwana has just published an authoritative book entitled Telecommunications, Media & Technology (TMT) for Emerging Economies: How to make TMT Improve Developing Economies for the 2020s – published in April 2014.